Mr. Hess is a member of the Lake County Bar Association and the Indiana Bar Association. During his years of practice, he has been a guest speaker on Family Law for the Lake County Bar Association and the Indiana Bar Association. 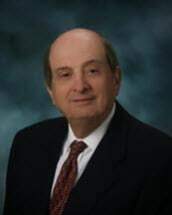 Mr. Hess has served the community for over four decades, providing quality legal services to the many clients he has represented, including: working families, doctors, lawyers, judges and other professionals as well as businesses and corporations. Mr. Hess has been lead counsel in numerous divorce cases involving multi-million dollar marital estates. Mr. Hess was given a Martindale-Hubbell ®AV®* rating from his peers in July 1997 and maintained it since that date. The rating means that he was deemed to have very professional ethics and pre-eminent legal ability. Sachs & Hess received notification from LexisNexis Martindale-Hubbell® that Sachs & Hess, PC has received a Martindale-Hubbell Peer Review Rating. Only law firms and lawyers with the highest ethical standards and exceptional qualifications receive a Martindale-Hubbell Peer Review Rating. Mr. Hess has also been selected by his peers for inclusion in the 2011-present editions of "The Best Lawyers in America" in the specialty of Family Law. Robert Hess was named the Best Lawyers ® 2015 Family Law "Lawyer of the Year" in the South Bend Metropolitan Area. The South Bend Metropolitan Area includes (in addition to itself) Crown Point, Elkhart, Goshen, La Porte, Marion, Merrillville, Michigan City, Mishawaka, Munster, Rensselaer, St. John, and Valparaiso.